So, in this spirit of uncertainty about both university funding and the future of capital projects, how can universities future-proof their estates? Clark says: “Universities engaged in major capital programmes are already monitoring the situation very carefully and mitigating the potential impact through appropriate risk management measures.” It’s a case of forewarned is forearmed. 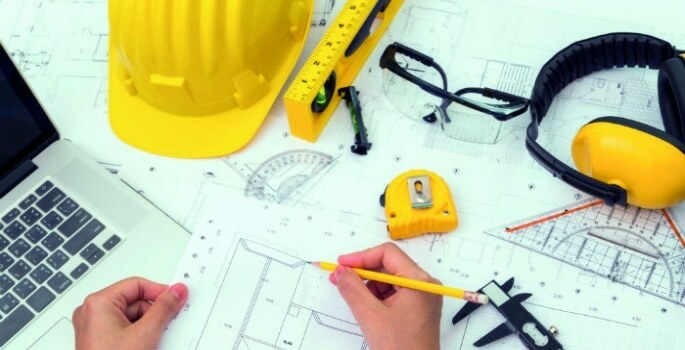 Moreover, if construction costs rise, then university estate teams will have to continue to work even harder to show how they’re delivering increased value for money, something they can plan for now. 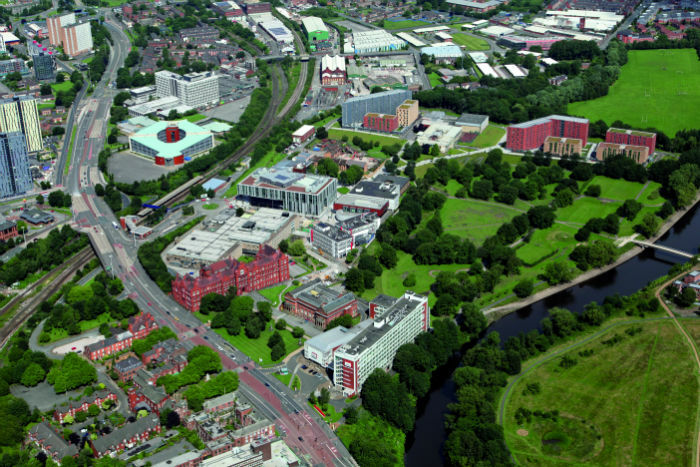 In June, the University of Salford and Salford City Council jointly announced the architect which would develop plans for a new campus at Peel Park. Their ambitious brief is to review the University’s entire estate at Peel Park, and the adjacent city area, to create one city district covering 99 hectares (244 acres) that enhances and connects with surrounding neighbourhoods and communities and helps drive the local economy. By way of example, Queen’s University Belfast plans to start construction in 2019 of a brand new student centre incorporating all student services under one roof. 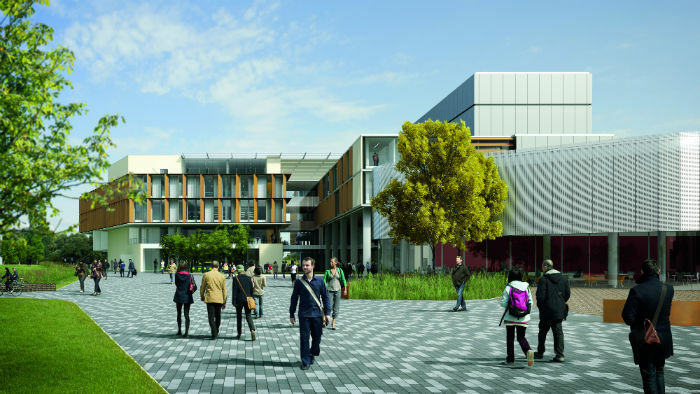 Meanwhile, at its new Waterside campus the University of Northampton is doing away with lecture theatres in favour of more flexible ‘teaching spaces’. 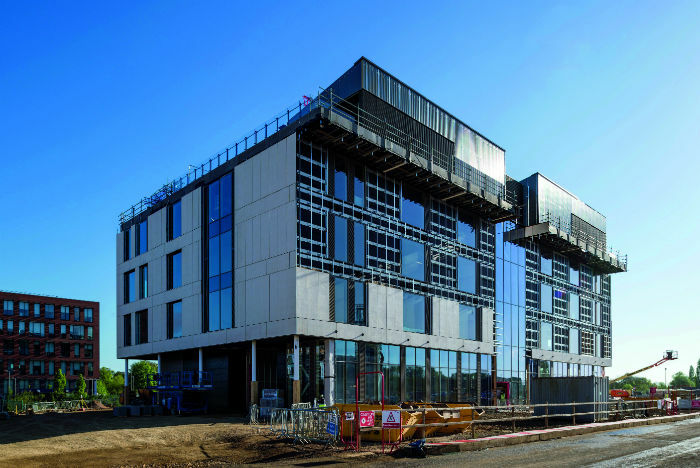 Already, Northampton has redesigned two-thirds of its courses to support its ‘active blended learning’ approach and the new teaching spaces are part of a strategy to give students best value face-to-face time with their tutors. Estates teams will increasingly need to work in close consort with IT teams to deliver the very best student experience. 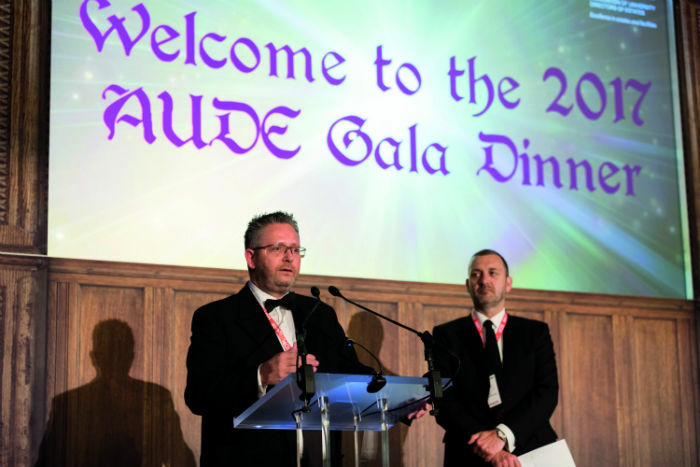 In celebration of the exciting developments across the UK, this April the Association of University Directors of Estates (AUDE) held the third annual AUDE Awards. The awards recognise the achievements of institutions, alongside best practice in the industry that supports them. The judges were on the search for teams, projects and individuals who have made a significant contribution to the sector by upholding excellence and value for money, promoting efficiency and effectiveness. This year the University Impact Initiative of the Year Award went to The University of Manchester for their sustainability engagement programme. This comprised two projects, the first of which was a large-scale initiative bringing together both the academic and professional communities in the University, as well as 5,000 students. The participants’ mission was to work together to design a new campus for the fictional ‘University of Millchester’. Working in groups with people they often hadn’t met before, the students had to incorporate costs and energy efficiency, while paying attention to the needs of the local community. The aim was for people to learn more about the issues around energy, community relations and social responsibility, while developing leadership skills. From the experienced, to the new; the Emerging Talent Award went to joint winners Grant McGillivray at the University of Glasgow and Stewart Crowe of the University of Liverpool. Grant is the 21-year-old apprentice to Glasgow’s estates and management team, with a bright future in engineering ahead. Having completed his MBA, Stewart is working on a more positive health and safety culture at Liverpool, working on improving colleagues’ understanding of the topic. Stewart is also widening his influence through engagement with the Health and Safety Executive and the Royal Institute of British Architects (RIBA), through his work as chair of the University Health and Safety Association (USHA). The AUDE Estates/Facilities Team of the Year Award was presented to Manchester Metropolitan University (MMU). Their model shows how universities can successfully look after people using a so-called ‘residential life’ way of thinking, which offers a complete pastoral care package engaging students, staff and the local community. Taking inspiration from universities in the US, MMU operates a system of senior students living alongside freshers to help them settle in, with daily drop-in sessions and regular events to promote a sense of community. At MMU, 97% of student accommodation remains filled throughout the academic year, so the link between that all-important sense of belonging and academic success is clear. To make any of these changes, though, requires buy-in from senior management and a team with the right influence to make changes. Clark says: “A great estate team will be at the core of their institution.” The challenge for estate teams is to keep their visibility high at executive board level while budgets are stretched, so that their priorities and the university’s can be aligned. Brexit may be uncertain, but there’s no doubt that the collaborative approach will continue to be crucial. Analytics firm Exasol has released new analysis into the number of graduates leaving university, taken from the last 20 years of HESA data from 1997–2017, since tuition fees were introduced.